SHIFTboston blog» Blog Archive » What if South Station was in Fort Point Channel? What if South Station was in Fort Point Channel? The 2012 post-professional studio at the Yale School of Architecture, co-taught by Ed Mitchell, Fred Koetter and Aniket Shahane, examines a series of contiguous developer parcels in Boston. The studio focuses on the rail tracks leading to South Station, the site of the USPS warehouse, and the properties surrounding the Fort Point Channel south of Summer Street. The area, which historically has been part of the service rail lines, has had several proposals made in the past few decades but none, Ed Mitchell believes, have sighted public imagination. He adds that despite proximity to the central business district, the properties remain relatively dormant. The post-professional students were asked to design concepts to identify new roles for the future of the sites. We will be presenting two of the most radical student proposals along with a critique from two members of the Innovation District task force, both co-writers of the new district program. We will begin presenting a proposal that aims to completely transform South Station. MassDOT plans to expand the number of platform tracks and increase service to South Station by extending the station onto the site of an historical USPS mail facility. The USPS facility would be relocated to South Boston and the current facility would be demolished in order for 7 tracks and 4 platforms to be added to the terminal. Two students, Jay Tsai and Miron Nawratil, present a different, thought-provoking idea: to dam and drain the Fort Point Channel south of Summer Street in order to create a fully subterranean train station. They argue this would provide a more than adequate amount of space for the future track capacity of the station, even beyond MassDOT’s 7-track expansion. It would also allow for the redevelopment of both the new and existing tracks to knit together the Leather District and residential areas in the Fort Point District. Tsai and Nawratil believe that the subterranean tracks create a better ground level connection between the two communities and promote connectivity within the Northeast Corridor. Tsai and Nawratil propose that increased pedestrian, bike, and vehicular traffic combined with the construction of new parking structures will create a denser network between critical transportation hubs in the city and increase activity along the Channel. Their plan also presents more successful phasing opportunities, as the new tracks and station could be built while the existing station remains fully operational. Comparable only to Venice’s infamous train station, Tsai and Nawratil’s new South Station headhouse would provide views north across Fort Point Channel and Boston Harbor to visitors freshly arriving in Boston. The revamped headhouse they propose would facilitate a visual connection between South Station and major focal points in the Boston city skyline. These views would create a powerful first impression of Boston and place visitors in the context of a larger urban fabric. SHIFTboston: What are some of the challenges faced if South Station were to move underground? David Grissino: Evolution of this concept requires a robust dialogue about where we have been and where we are headed relative to the symbolic role of civic buildings and infrastructure. Historically, South Station has been an object building and served as a recognizable landmark in the urban landscape. This has been reinforced with the removal of the Central Artery and recent concepts of locating a very large tower on the existing building to further emphasize its iconic role. Arrival and departure from South Station have followed the grand tradition of orientation by a large space that centrally organized movement and held a great deal of symbolic power. 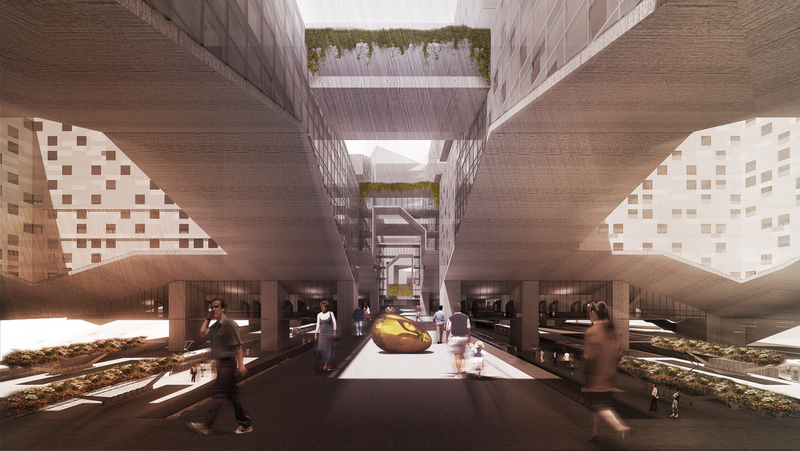 This proposal asks some challenging questions: How can our major multimodal transit hub serve as more than a piece of subterranean infrastructure? Should it be a highly visible landmark? Should it stand apart from the city fabric or become integral with it? 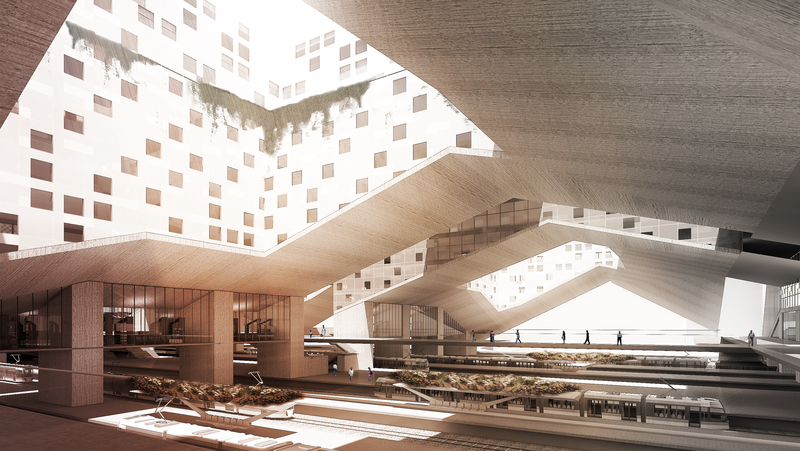 How could emerging from a subterranean station create a sense of arrival and excitement? SHIFTboston: Considering the importance of water in the history of Boston’s urban development, how might draining part of Fort Point Channel affect growth in the area? What are some of the pros and cons of this aspect of the proposal? David Grissino: The history of wharfing out and filling in has created many of the unique places within the city, including the South Bay and Fort Point Channel. In many ways, the filling in of more of the channel is consistent with our pattern of growth. However, one significant shift has occurred since the last major geographic shift in this area – the post-industrialization of the waterfront. Recent visions for Fort Point Channel recognized the importance of drawing people down to the water’s edge for recreation, education, and a connection to our history. These themes are similar to those for removal of the Artery, but the sheltered and bounded nature of the Fort Point Channel allows unique opportunities for the increasing number of residents moving into the Downtown and Innovation District. If removing part of this open space resource were to occur, what is the role of the development in offsetting that loss? 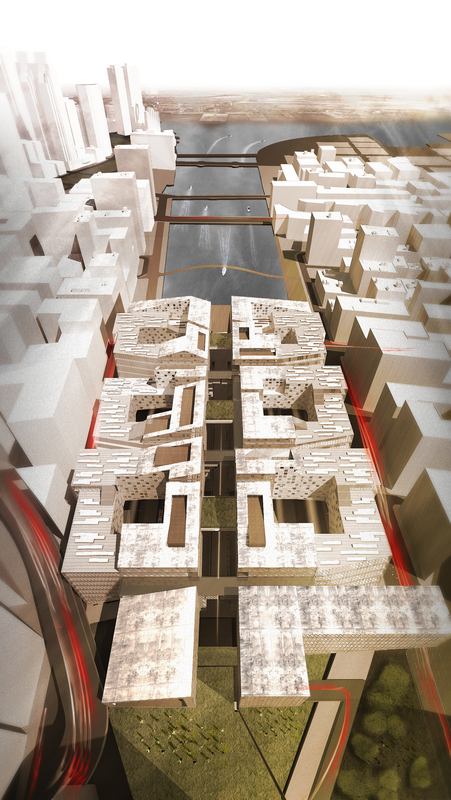 One compelling aspect of the proposal is that the northernmost buildings would form a new edge and face to the reconfigured Channel. How might they respond to this which recognized that importance? Are there portions of the project that remain publically accessible beyond the station and platforms? Could the headhouse be located there and become more of an object or distinguished in form or expression? SHIFTboston: Given your familiarity with the urban context surrounding this site, what are your thoughts about the form, texture, scale and layout of the new buildings? David Grissino: Smart growth, transit-oriented development, convenience, development costs, and a host of other factors might suggest that much greater FAR be placed on top of the station, at least to the extent that the FAA will allow given the proximity to Logan Airport. The city’s vision for development at both North and South Station, as well as the development community’s vision for Back Bay Station, all include significant height and a range of uses above transit infrastructure. The low scale massing and uniform building type would provoke many questions about how this kind of development would relate to those other places in the city or national TOD trends. The form also suggests a distinct residential quality and a uniformity of use. SHIFTboston: Locating the tracks below grade will provide increased circulation and view corridors between the Leather and the Fort Point Channel districts. Have you seen any other design proposals or plans that aim to increase circulation between these districts? David Grissino: The project describes increased connectivity and view corridors between The Leather District and Fort Point, two portions of the city that have never been connected in their history. This is a powerful opportunity that demands that the development navigate establishment of its own identity with the responsibility of redefining the surrounding context at its edges. In general, I would have to applaud the students for articulating a bold vision and wrestling with many complex urban issues. We need to constantly be introduced to new ideas and reevaluate our physical context in order to unlock new potential for the future. The fantastic thing about this proposal is not that it solves one specific problem, but that it makes me want to ask some fundamental questions. Dear SHIFT: In his latter response David Grissino states that the Leather District and Fort Point have never been connected in their history. This is statement is incorrect. Both areas were linked prior to construction of South Station by the Mount Washington Street Draw Bridge. 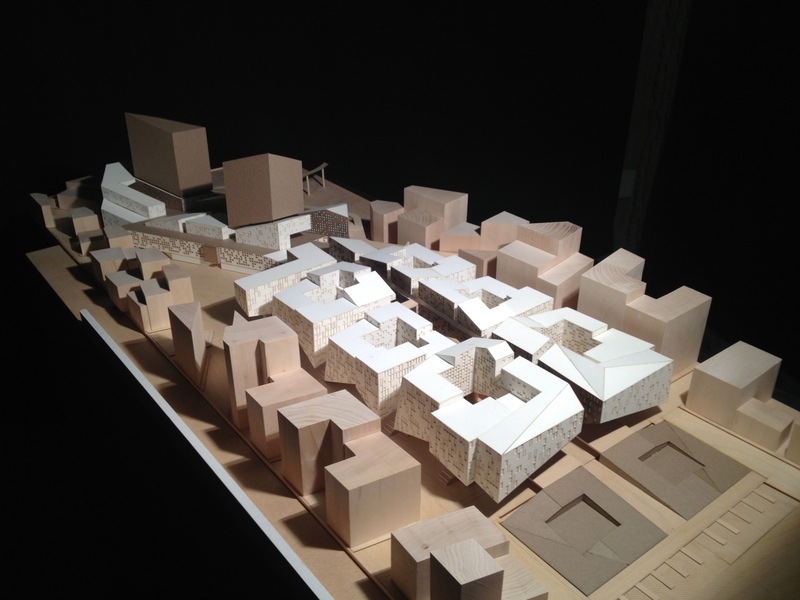 The Yale Studio is exciting, and Grissino clearly appreciates its potential to influence redevelopment of that area. However, one way to begin reconnecting the two neighborhoods is to complete the Channel-Mall Park stipulated in the Fort Point 100 Acres Plan (January, 2008). This Park was conceived by architects and artists living in Fort Point (with ample support from the BSA) In 1998. The park plan includes adding a “signature” footbridge over the channel to The Post Office land and South Station. The net effect is to link the Boston Convention Center’s west concourse to the park and across Fort Point to new air rights development at South Station -incuding South Bay parcels adjacent to the Leather District and Chinatown. Understand that this advocacy predates the digital/revit design environment… We may need new leadership to get anything like it built. By that time I will be in paper slippers(! )… Good exchange. Thank you for posting.